Does “Love Win” for Luther? America loves sound bites. “President Obama was not born in the USA” is one sound bite that in various forms was Tweeted, posted to Facebook walls, blogged about, and supported by various news stations. Such sound bites, rather than being based on evidence, sound reasoning, and fraternal discussion, gain a hearing and following because of our love for sound bites. Gobs of Americans believed Donald Trump’s confident belief that there was no birth certificate. Had they done any research on their own? No, but they trusted some news program which supposedly lets the viewer decide. Into this sound bite culture comes a book by Rob Bell entitled Love Wins. If you haven’t read the book, let me be the first to say, “Go read it, or don’t say a word about it. Thou shalt not quote Tweets, Facebook posts, or blogs until you’ve read it yourself.” After purchasing and reading the book in its entirety, I then went to several blogs and found sad and uninformed statements made by fellow Lutherans who come right out and say, “I haven’t read the book, but…” For a group of people who once rallied around the cry, “Back to the original! (Ad fontes),” American Lutherans sure have succumbed to the sound bite culture. Popular books written for popular consumption are vital in the church; and Bell is to be commended for seeing that need. Further, when such books simply put forth an unexceptionable position, there is no real necessity for any scholarly apparatus; but when they self-consciously present themselves as arguing for significant or controversial paradigm shifts, the author really does need to cite sources. This is crucial because such citation allows the reader to engage in a conversation with the matter at hand. The thing is that theologians who love footnotes are not Bell’s intended audience. The people he’s writing for are those who have suffered far more than having to track down a source for a quote. He writes for the woman who was molested by her father while he was reciting the Lord’s Prayer (p. 7). He is addressing the woman who hands him a note with a single number on it – the number of days she has gone without cutting herself (p. 164). Among his intended audience are those whose entire life is smoking weed and drawing at the kitchen table (p. 139). He is primarily conversing with people who get the “It’s like this; it’s like that” reference in the middle of a chapter about Eminem. (p. 129). So, we’ll forgive the author if he doesn’t footnote. We who love footnotes and actually have a set of Luther’s Works to track down his quotes are not the people with whom Bell is striking up a conversation. Prof. Trueman, who is quoted by several other Lutheran blogs on Love Wins, charges that Bell takes the Luther quote out of context. After giving some of the context of the Luther quote from the Philadelphia Edition of Luther’s Works (LW 43, 47-55), Trueman provides his analysis. Any medieval theologian worth his salt knows that the key to understanding how things actually are, how God actually works in relation to the created world, is his potentia ordinata, his ordained power, those things which he has actually determined to do. What Luther is focusing on here is not the possibility of postmortem evangelism but the absolute necessity of faith in the ordained order. When one actually reads through Luther’s letter in its entirety (rather than just taking another blogger’s word for it), it turns out not to be primarily about “the necessity of faith in the ordained order.” Nor is the subject of people turning to God after death only a “rhetorical flourish” which Luther uses to make his point. That subject is actually the title given to the letter – “A Letter to Hans von Rechenberg on the Question Whether a Person who Dies Without Faith Can Be Saved”! Evidently this man who had fought against Muslims in some battles was truly tormented by this question – much like the people Bell is addressing in his book. Luther, the pastoral theologian, addresses this man’s honest, simple inquiry not with sound bites but with pastoral theology. He doesn’t condemn von Rechenberg for asking such a heretical question but instead gives several insights. Rather than base pastoral theology on opinions, though, even if held by influential teachers of the past, Luther asserts that we must “separate our opinion from God’s truth.” (LW 43, 52) Luther goes on to give a pastoral response for those whom hell and eternal justice are almost enough to drive them from the Christian faith. He says, “First they must grow up in faith…exercise themselves in the sufferings and humanity of Christ, and ponder his excellent life and conduct.” Pastor Luther shows his pastoral heart for Bell’s intended audience when he writes, “We must dismiss this subject of God’s judgments from our mind as something extremely sublime and extraordinary until we grow stalwart and strong. Otherwise, whatever we may think, write, or say on this subject is vain and harmful.” (LW 43, 53) After giving this disclaimer, Luther gives his answer. First, he maintains that God cannot and will not save anyone without faith. Considering some of the abuses going on at the time, Luther is most likely guarding against the idea that a person could pay the church a certain sum of money so that a mass be said in the honor of a dead relative with the hopes that it might merit salvation for them. Luther maintains in this letter and in a sermon (WA 10 III, 306-310) preached on September 7, 1522 that salvation comes only through one’s own faith in the Gospel, not through anyone else’s faith or works. That much is crystal clear and cannot be doubted when one examines Scripture. Once this is made clear, Luther poses a question and then gives the answer which Bell quotes in his book. “It would be quite a different question whether God can impart faith to some in the hour of death or after death so that these people could be saved through faith. Who would doubt God’s ability to do that?” (LW 43, 54) Far from being a “rhetorical flourish,” Luther seems to condone such a question as being entirely keeping with his theology of salvation by faith alone. He seems to be saying that the question of a mass being said for the dead is entirely out of the question, but it’s an altogether different question if it involves someone in hell finally coming to faith in the Gospel. In my judgment, Bell is entirely justified in quoting Luther as opening up this possibility which other church fathers had already asserted. After opening up the possibility, Luther quickly counters, “No one, however, can prove that he does this.” (LW 43, 54) Indeed, even the Scripture passages which others had used as proof verses on the subject, Luther puts back into their context. By doing so, Luther shows that Scripture does not make certain the matter. Rather than leaving von Rechenberg with an uncertain answer, Luther points him and any who would struggle with such questions (like Bell’s intended audience) to certain comfort. He says, “Confine them to Christ’s humanity, and let them first gain strength and be taught until they have matured sufficiently… Whatever is necessary for us to know is taught us best in Christ’s humanity, since he is our Mediator and no one can come to the Father other than Christ.” (LW 43, 54-55) In other words, rather than sending troubled souls to possibilities for which we have no certain Scripture, Luther again points them to Christ. May all the broken, raped, addicted, condemned to hell, offended by ridiculous blogs, and Eminem listeners find mercy, grace, forgiveness, hope and love at the foot of the cross. I encourage the reader to continue to examine Bell’s book, Luther’s letter, and the Church Fathers, especially if they are ones who must give a public answer to such difficult and weighty questions. Ben Haupt is pastor of Good Shepherd Lutheran Church, Gainesville, GA. 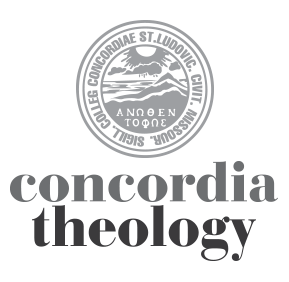 He has earned the M.Div and, recently, the S.T.M degrees from Concordia Seminary. He is also a translator of Luther’s sermons in the new series of Luther’s Works from Concordia Publishing House. This is the third in a series of posts on the popular books Heaven Is For Real and Love Wins. For previous posts, see here, here, and here. I didn’t read this article – but I still think Haupt is a jerk. Just kidding – love ya brother! Thanks for taking on a tough subject with boldness and actual research. Well done! A very helpful post, Ben. Thank you for take the time to read the book and to read Luther! There are two points that I especially appreciate. First, it is immensely important to recognize that the topic of Bell’s book receives its orientation from questions of those who suffer and thus ask the deep and unanswerable “Why?” of theodicy. That is to say, they are questions that beg for a theology of pastoral care that attends to individual consciences. Such questions and answers cannot be abstracted into the theoretical and incorporated into a comprehensive doctrinal system, but remain in the existential context of faith and doubt. They are “life and death” questions … not primarily because that is their subject matter, but because those who ask and answer live and die by them in a profound and spiritual way. They are what Luther would regard as “Anfechtungen,” the spiritual trials of the individual Christian conscience. The second point I appreciated was the recognition that the Luther quote cited by Rob Bell shares this context of pastoral care. In fact, it is perhaps helpful to be reminded that pastoral care is central to Luther’s entire theological approach and reform efforts. As one Luther scholar put it, “One could describe Luther’s career as the mounting of a life-long pastoral malpractice suit against the church’s authority at every level of the hierarchy.” Yet even so, there is a world of difference between his approach to those who suffer and the theologians who misguide the suffering. That is why Luther’s answers in these letters can sound very different than in his treatises against theologians. As is the case with many of his letters, Luther’s approach is distinctly oriented to the conscience and moves from speculation to the concrete, from the theoretical of the incomprehensible “Why?’ to the concrete “Nevertheless” of God’s love revealed and promised in his Son. And that is where he remains. And perhaps here is the potential difference between Luther’s letters and Rob Bell’s books. Though they deal with the same kinds of questions, they are not the same genre and they do not approach the questions in the same manner. Part of this has to do with the way the printed page is used today and the “sound bite” culture that Ben mentions. The difficulty of the modern publishing world of the bestseller is that (just like the blogosphere) it thrives on the provocateur. The straw man becomes the favorite devise to make claims more profound or striking than warranted. And too often books take the real, personal struggles of individuals and turn them into topics to be debated over tea or used as “purple passages” to stir emotions instead of critical thought. Shallow treatment of deeply important topics are forgiven if it’s a good read or stems from sincerity and conviction. In other words, the publishing market of the bestseller does not lend itself to books that are in fact pastoral in their approach, because the intended audience is ALWAYS more than those who ask such questions. I cannot speak for this book, but Bell’s other books that I have read are certainly much closer to such market values than Luther’s letters of pastoral care. Luther’s letters weren’t exactly private, but their publication was explicitly for the sake of the particular audience that occasioned his initial response (e.g. the letter to von Staremberg that I mentioned above was published in the same year “as a comfort for those who are mourning for loved ones who have fallen asleep or died”). Book tours, TV spots, the New York Times Bestseller list, much less remuneration were never factors in Luther’s published works that could confound his approach or intention. Of course, making money and becoming famous is not an absolute impediment to the ability of an author to produce a work of the kind of pastoral sensitivity and theological integrity that such questions deserve. Still, there is a rather well known aphorism about a camel and a needle that reveals how difficult and rare it is. I find it ironic that you take issue with “soundbite theology” and then treat us to one yourself: If you haven’t read the book, go read it and don’t say a word about it. I remember several years ago a parishioner was concerned about her son reading Harry Potter and what I thought of that, and I said, “I don’t know, I haven’t read the book.” So I told her I would and after reading it I then I told her what I thought of it. However, in the case of Rob Bell, I can in fact address his errors without reading his books because I know his theology. In fact, watching his short video introducing his new book tells a lot about what theology he is promoting. It is simply impossible for a pastor to read every book out there and yet he must still be able to respond to people who ask him about the books. In the case, for example, of the Left Behind series, who has time to read all those? I would love to read them, actually, to better be able to respond to them, but I simply can’t (or if pressed, I simply won’t, because there are other things I deem more important). But not having read the books does not prevent me from responding to people regarding those books and their theology. I know Lehaye’s theology and it would be wrong of me to say to people, I can’t respond to that because I haven’t read the book. BTW, I also think that one *can* address this on the net without having read the books, in the same way I have described above. Having said that, I do appreciate your otherwise very good post.